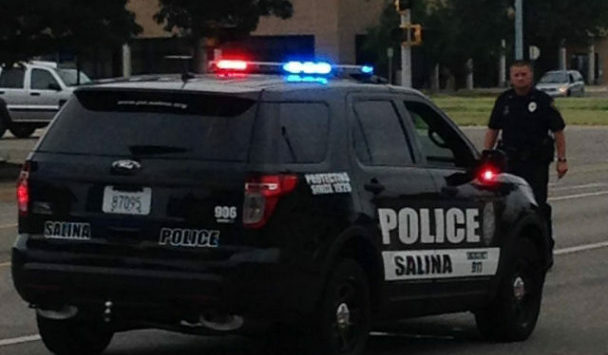 A Salina man was taken into custody after allegedly forcing his way into a home so he could drag a woman outside. Police Sergeant Jim Feldman tells KSAL News that 29-year-old Preston Williams is facing multiple charges after he reportedly knocked on an apartment door in the 1100 block of North 3rd Street and then forced his way in and began punching a 25-year-old man. Williams then grabbed a female acquaintance and forced her outside. Police say he also broke a TV, iPhone and a window on a 2003 GMC Denali causing an estimated $1,400 in property damages. Williams was arrested a short time later in the 1600 block of E. Iron and is now facing charges that could include aggravated battery, aggravated burglary and damage to property.